Back with a smoother soulful twist to their output, genre-defying Wanderers' have spent majority of 2018 touring nationally, gracing numerous festival stages including Bello Winter Music Fest and Gumball. Their previous single 'Off My Back' has propelled the band to new heights, including editorial features in numerous Spotify playlists New Music Friday to Low Key Weekend, to the track reaching #8 in the Viral Australia Top 50 chart; it’s seen the Adelaide natives have continued to win crowds over with their energetic live show. The group has venture deeper with their undeniable groove, a driving beat and vocals that are reminiscent of the Motown era. 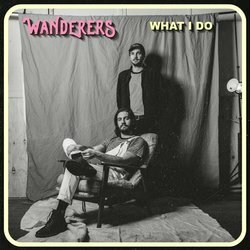 ‘Wanderers serve up Motown-style sensibilities with a contemporary and addictive edge. Driving beats and honey-sweet vocals align perfectly, and once the solos roll in, you’ll be hooked. Proof of their broad appeal and live abilities went viral earlier in the year, when Melbourne institute Baked Goods released a live version of the band’s unreleased crowd pleaser What About It. Inspired mostly by late 70s soul and funk, What I Do started out simply as a looped groove that Dusty wrote to practice bass along to. About the realisation that you’ve been getting yourself together but not actually working on any of the things that you need to for the relationship to go the distance.